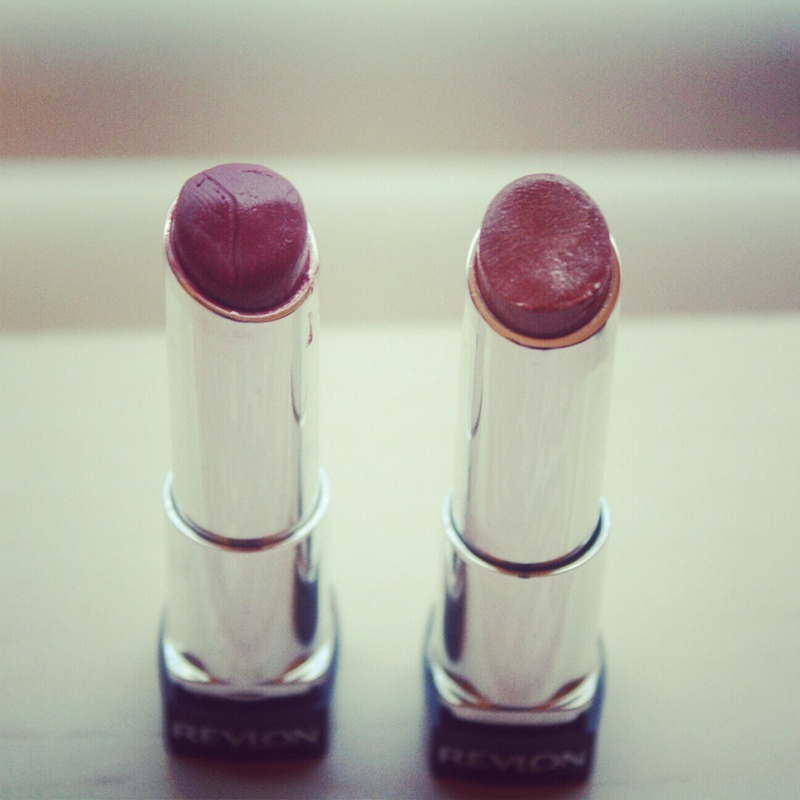 Butter Up Your Lips with Revlon! Hi guys! Hope you haven't missed me too much over the past few days! I was just stopping by- I had my wisdom teeth removed on Saturday so I'm still in a lot of pain and am still swollen, unfortunately. [After reading Love Maegan blog, which I do daily] I did want to stop by and share my opinions and experience with Revlon Colorburst Lip Butters and this is also my entry into the sweepstakes that is offered on her page as well! I started using these when I wanted to experiment with more color on my lips, and I felt this was the safest way to go as opposed to lipstick or lip stain, it really was the way to go! I really love them because it moisturizes just enough and gives me that pop of color I want! And not to mention, it's really worth the price! It's not exactly a lipstick, although I have recently started wearing more lipstick than lip gloss. I have tried 2 of the shades that it comes in. I tried 085 "Sugar Plum" (left) and 020 "Brown Sugar"(right)- I like them both! As you can see from the pictures, they have been used quite a bit!! I really like how if I want to make it darker (like lip gloss or lipstick) I can by just adding more to my lips, or I can keep it simple. The best part is of course that it moisturizes my lips. It really is a smooth & buttery lip balm with color in it! It's really awesome! I think this is great for everyday wear, and I'm sure you can find just the shade you need! This can be the perfect finish to your 'every-day look'. Or it can be that something extra. Let's not forget that it's smells really nice too! Have you tried Revlon Colorburst Lip Butters? If so, what colors are you favorites? Disclosure: This post is in exchange for a sweepstakes entry.